We have had several requests to make a Keto Cookie Dough recipe so we finally caved and we are really excited to share this recipe with you! It's quick to make since no baking is required and can be adjusted to your liking. Add nuts, berries, or your favorite spices and call it your own. The entire family, keto or not, will love it! Edible Chocolate Chip Cookie Dough! of course we had to replicate it in a low carb form. We created this recipe strictly for the feel of eating raw cookie dough without the raw aspect, which means baking these into cookies won't do you any good. You should look at this recipe as more of a fat bomb recipe that you can form into whatever shape you want and relive old memories by eating straight out of the fridge! If you are interested in chocolate chip cookies, however, we have crunchy chocolate chip cookies and chewy chocolate chip cookies for whatever texture you are craving! They would pair great with your morning Bulletproof Coffee. 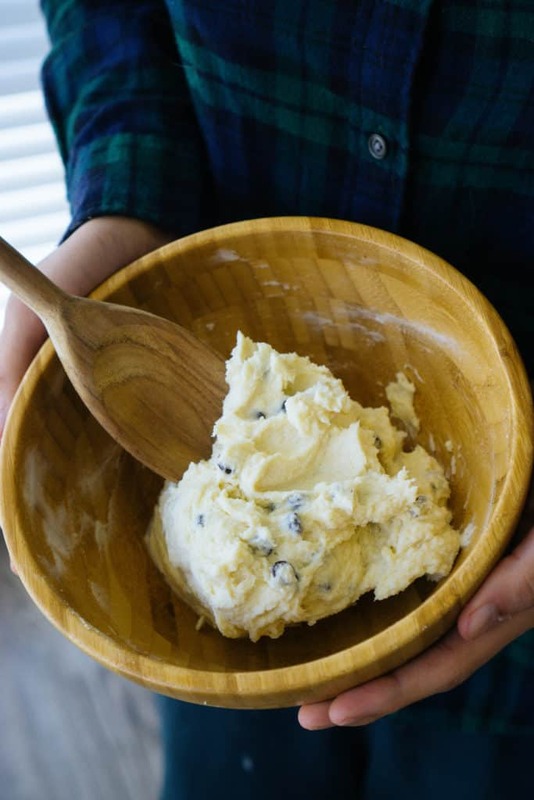 This keto cookie dough recipe is our new go to dessert because it brings us back to our childhood. We love to clean up after dinner, pull out a couple of these cookie dough balls and enjoy them guilt free as a fat bomb capper for the end of the night! 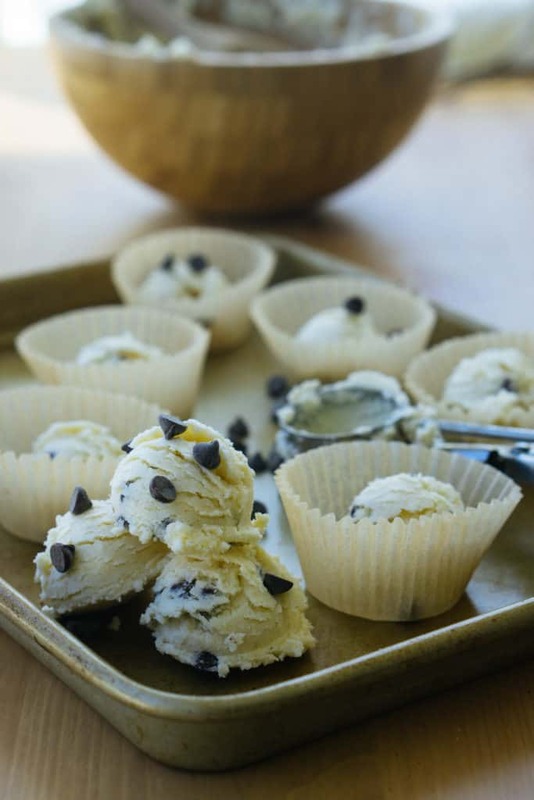 If you are a cookie dough fan, make this keto cookie dough with your favorite add-ins! 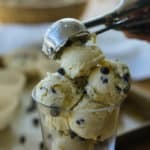 Recipe can be quickly added to MyFitnessPal - Search "KetoConnect - Keto Cookie Dough"
Keto Cookie Dough | Chocolate Chip! Combine the butter and cream cheese into a large bowl using a hand mixer. Add in the almond flour, erythritol, stevia, vanilla extract, and pink salt and combine. Optionally, add in chocolate chips and fold to combine using a spatula. Refrigerate for an hour and then scoop into cookie dough balls. Enjoy! Store in refrigerator up to 2 weeks.